Tempest celebrates their thirty years as a band with an exciting new album, “Thirty Little Turns”. Thirty years is a milestone for any band to reach. 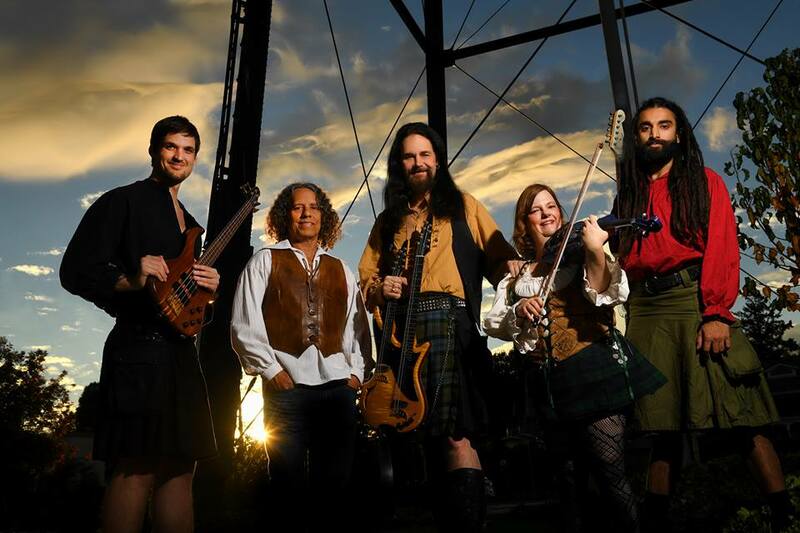 Yet, Tempest continues to bring their brand of electric folk and Celtic music to enthusiastic audiences. Tempest music is a vibrant, living and breathing demonstration of tales old and new. Two songs bring us stories from the Jacobite Rebellion — the long, bloody attempt to return the British throne to the House Of Stuart. 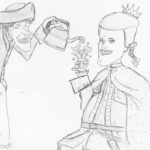 “Johnny Cope” is a based on a traditional Scottish song from the 1745 Rebellion, that tells of the British commander’s defeat at the hands of Bonnie Prince Charlie’s Jacobite army near the end of the conflict. “Battle Of Aughrim” goes back to one of the bloodiest battles of the rebellion which brought about the end of Jacobitism in Ireland. “Thirty Little Birds” celebrates the many fans and fortunes of Tempest throughout their thirty years together, name-checking many they have met and count as friends to this day. “Trolldans” is ‘a zippy little Norwegian folk song celebrating the Summer Solstice’, sung in Lief’s native Norwegian tongue. While clips of “Norwegian Wood” have long been a live-humor staple during band introductions, at fifty years of age, it’s one of the newest of the old English standards written by a couple of school chums from Liverpool. “Lahard Chase” is lively medley of three contemporary reels highlighting the haunting fiddle of Kathy Buys. “A Toast” is inspired by Viking lore with haunting lyrics about the longing for adventure and the bitter-sweet memory of leaving loved ones behind to keep the home fires burning. “High Germany” refers to the ‘The Thirty Years War’,’ a deadly collection of wars fought in Central Europe for reasons including religious, dynastic, territorial, and commercial rivalries. (1618-1648) The lovely tune at the end is the Brambleberry Reel written by Kathy. “Swarb” is a medley of tunes dedicated to the memory of the late, great fiddler Dave Swarbrick (1941-2016). A wonderfully happy tribute by the entire band to this master musician whose work with Martin Carthy and Fairport Convention continues to influence fiddle players and folk musicians to this day. Two of the favorite fiddle tunes of Dave himself join neatly with a tune written by Lief in honor of Dave. 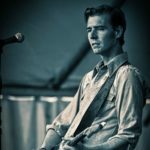 Hailing from Oslo, Norway, founding member and lead singer/electric mandolinist, Lief Sorbye, is recognized as a driving force in the modern folk-rock movement. He started Tempest after years of touring and recording on the folk circuit. San Francisco fiddler Kathy Buys brings her international award winning playing to the Tempest stage. Her experience performing world-fusion music with high energy dance bands combined with many years of playing Irish traditional music in America and Ireland makes her a perfect fit for Tempest. Driving in from the North Bay area is Josh Fossgreen, an exceptional musical talent whose innovative bass textures add a rich dimension to the Tempest soundscape. 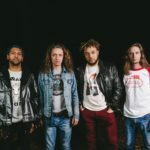 And Northern California’s own young Indian-American progressive guitarist, Ab Menon, skids to a flaming stop on the Tempest stage, replete with flying dreadlocks, dazzling string stylings and a sense of ticklish fun. Cuban-born drummer Adolfo Lazo, an original Tempest member, colors the band’s sound with inventive rhythms, and rock-steady drumming.